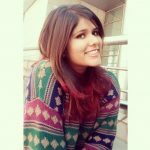 About the Author: Alisha, a Philosophy graduate from Indraprastha College, recently joined the Internshala team as a Content Writing and Editorial intern. Walking in for your first internship interview is undoubtedly a scary and dreaded experience! Well, at least for a fresher like me. While my parents spent almost two months persuading me to look for an internship, it was with a lot of hesitation that I finally managed to log onto the Internshala website. My idea of an internship was restricted to not being struck by boredom at home, managing to earn some work experience and consequently, pocket money too *chuckles*. I spent my initial days blindly applying for content writing internships. With no concrete outcome coming out of it, I was rather feeling a bit glum about the entire situation. That’s when the email from Internshala regarding the Super Intern profile came to my rescue. The idea hadn’t triggered in my head that perhaps the portal that helps people to get a meaningful internship could also possibly offer one itself! Without giving it a second thought, I applied for the position. I exchanged the initial mails with Aastha, from the HR department. After the telephonic interview and the assignment that I was meant to complete, one thing was sure – this internship was NOT going to be easy. Now, I am not saying this with the slightest of negativity in my heart but I knew that I was preparing for an extremely challenging job. Pleasantly surprised, I got the mail for my final round of interview with Sarvesh, the founder of Internshala. Walking in for the interview, the nerves just didn’t seem to set in. Although a very calm and composed person, Sarvesh grilled me through the interview. He bombarded me with questions I wasn’t expecting. I guess, that is exactly how an interview is meant to be, right? I went home to tell my parents how I wasn’t too optimistic about the internship as I did not know the answers to some of the fundamental questions pertaining to the company. Throughout the interview, there were quite a few instances where I had to answer with an “I don’t know” and “I’m sorry, I haven’t done that before”. My day was nevertheless made when I got a mail confirming my selection for the Super Intern position, whee! The level of excitement was absolutely indescribable! In spite of my informal past as a proofreader and editor – I know how this internship will be an altogether new ball game. The expectation is not of a rosy picture with no glitches whatsoever. I am only looking forward to an experience that makes me learn new things, challenge myself, and helps me to walk out as an altogether new and better human being. Just as the Internshala values suggest, I hope that this internship turns out to be meaningful. Chasing my dreams at Internshala! Thank you so much for sharing your experience ! Indeed, it was helpful! And your selection of words and the way of expressing things are mind blowing! hey, i want to know internship from internshala is really <a href="http://quickbookshelp.xyz"good ?because i am doing freelancing projects of digital marketing and now, i willing to do internship so that’s why i am asking. plz reply.. Thank you for writing in. We allow the employers to post internships only after proper scrutiny and research. So, you need not worry.